After hearing from 20 students, parents and teachers in a packed meeting room, the Wayne Township School Board voted unanimously Monday to ban tobacco products on all school property. The voice vote, however, came after two board members voiced some personal misgivings about a total ban but said they concluded the time had come to approve it. Until now, Wayne Township was the only school district in Marion County without a total tobacco ban. Smoking has been prohibited in all buildings, and students — even those 18 or older — also have not been allowed to smoke. But smoking was permitted in certain areas. The board had been expected by some to approve not a tobacco ban, but instead to sign off on language recommended by its attorney to bring the district's policy in line with state law. That would have moved smokers away from entrances but still allowed tobacco use on school grounds. However, a groundswell of opposition to any tobacco use on school grounds gained momentum, expanding to include other property, such as district vehicles, as well as school events. I'm a bit surprised that the article didn't include claims that non-smokers were exposed to "dangerous" secondhand smoke as they walked by smokers congregated outside. The claim is nonsense. 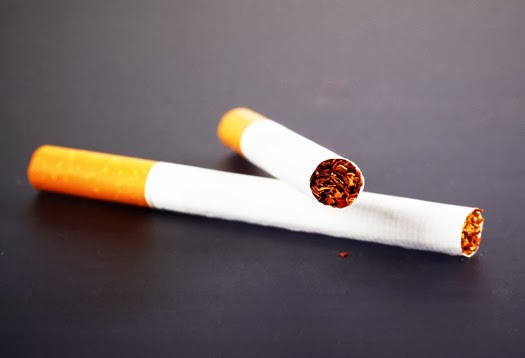 Epidemiology studies show the risk factor for secondhand smoke to be only around 1.3, far below the 2.0 level considered sufficient to prove causation and far below the 9.0 risk factor involved in smoking cigarettes. The carbon monoxide that fills the air as cars idle at pickups and dropoffs at the schools pose a much greater danger than secondhand cigarette smoke. In related news, the 7th Circuit yesterday upheld Indianapolis smoking ban which was extended in 2012 to include bars. Mark Small was lead counsel for the bar plaintiffs and I acted as second chair on the case.. That may prove to be a short-lived victory, however. Several weeks ago, the Indiana Supreme Court heard oral argument on the Evansville smoking ban. It appeared from the oral argument that the Court is leaning strongly toward striking down the ban because of the inclusion of exceptions in that law, which exceptions Indianapolis' ban also includes. During the oral argument, the focus was on the Privileges and Immunities Clause in Indiana's constitution, a provision that acts in a way similar to the federal equal protection clause but has been interpreted to provide more protection against unequal treatment. Because states have absolute power to interpret their own constitution, an Indiana Supreme Court ruling that the state constitution prohibits smoking bans with exceptions in the Evansville case would likely doom the Indianapolis smoking ban as well. You, Rhonda, must be one of those OCD sufferers who feel polluted by a molecule of smoke and want to inflict your control-freakishness on the world. You need to learn to read. The article's author never implied that smoking bans aren't often upheld. This particular ban apparently contains unconstitutional exceptions. Too much nuance, I suppose, for a smoking nazi. Westerners want during investing in those dresses and even Asians and allows cartier replica a fashionable direction that will sports most cost effective Asiatische dresses. Amongst the most common dresses derive from The japanese together with Korea despite the fact that Singapore, Thailand, Hong Kong together with Malaysia at the same time import dresses elsewhere. Korean creators are famous as they definitely louis vuitton replica to design together with way dresses the fact that capture the fancy of most of sessions and show funky together with stunning. Any garments put to use happen to be high-quality and plenty of brands together with models at the same time sports those dresses. Any burst society during The japanese together with Korea provides a large amount regarding popularizing way dress in. Isn't abnormal to observe amazing Japanese printing useful to structure women’s blouses. Kids really enjoy aping any Korean layout chanel replica handbags by just teenagers during Asian countries. A good option that will base released the new way dress in is certainly by just surfing the online market place together with trying to find out info on varieties, way together with current traits. A lot of online shops supply gear with all an area of the hublot replica. It to enjoy point in time encountering any snap shots together with choosing gucci outlet the fact that appeals to an individual's feel for preferences. Countless retail outlets supply significant bargains together with zero cost sending whenever largest part expenditures are fashioned.